Can Arlington Land Marriott’s New HQ? (Updated at 6:15 p.m.) One of the world’s biggest companies is looking for a new corporate headquarters, and Arlington wants to be in the running. 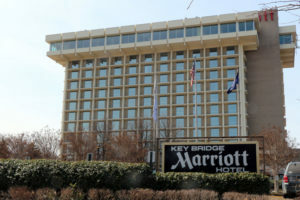 Marriott International occupies 900,000 square feet of office space in Bethesda, but CEO Arne Sorenson told the Washington Post last month that the hotel chain with more than $12 billion in annual revenue “will be moving.” Sorenson said he still wants the company to stay in the D.C. region, and made more comments sure to make Arlington real estate owners’ ears perk up. Sorenson also said Marriott has engaged with “local leaders,” but the company won’t move for several years; its lease in Bethesda expires in 2022. A giant tenant like Marriott doesn’t come to market very often, and it would be a huge get for Arlington Economic Development, which is still reeling from the impending loss of some large tenants like the National Science Foundation. If the hotel chain moves its headquarters to Arlington, it could occupy almost triple the combined space of recently touted deals for Accenture (90,000 square feet in Ballston), CNA (175,000 square feet in Clarendon) and Graham Holdings (35,000 square feet in Rosslyn). Shooshan said the number of jobs Marriott would bring — more than 2,000 work in Bethesda — could be a boon for the county’s economy, including the added employee spending on retail, restaurants and housing. Another benefit would be the real estate revenue. Arlington’s commercial real estate market has stagnated in recent years, and landing Marriott would be a financial windfall. Arlington Economic Development spokeswoman Cara O’Donnell couldn’t confirm if AED or anyone else from the county have been in talks with Marriott. She did, however, make it known that Arlington will be lobbying hard for the hotel powerhouse. “Marriott’s corporate headquarters would be an ideal fit for Arlington,” O’Donnell said in an email. “We are known for our urban villages and metro accessibility, which have been cited as important factors both in Marriott’s search criteria and in hiring and retaining the best workforce. 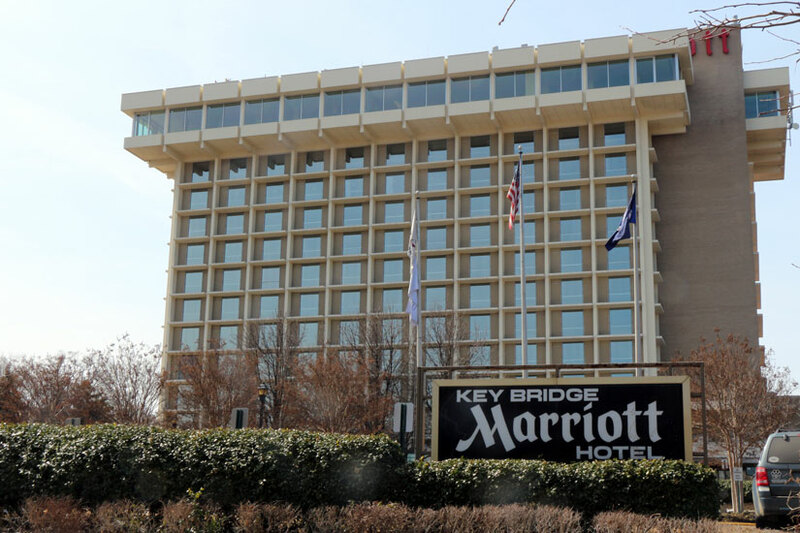 Marriott is expected to have its pick of just about every local jurisdiction, in Maryland, the District and Virginia. We’re told also Tysons Corner figures to be a premiere player with its new Metro stops and massive redevelopment plans. Marriott’s decision is several years away, and the competition will only get fiercer. Although AED would not comment on what type of package it would offer Marriott, it’s worth looking at what CEB received in exchange for simply staying in the county and the state: $4.5 million from the governor’s office, $5 million from the Virginia Economic Development Fund and a pledge from Arlington County to match any funding for infrastructure improvements. CEB’s 15 stories in the under-construction tower that will bear its namesake will contain 350,000 square feet of floor area. Marriott should occupy at least twice that. Wherever it goes, it likely will see a significant financial commitment from its new home. Legal Insider: Do New Drug Laws Impact Drug Testing, Security Clearances?